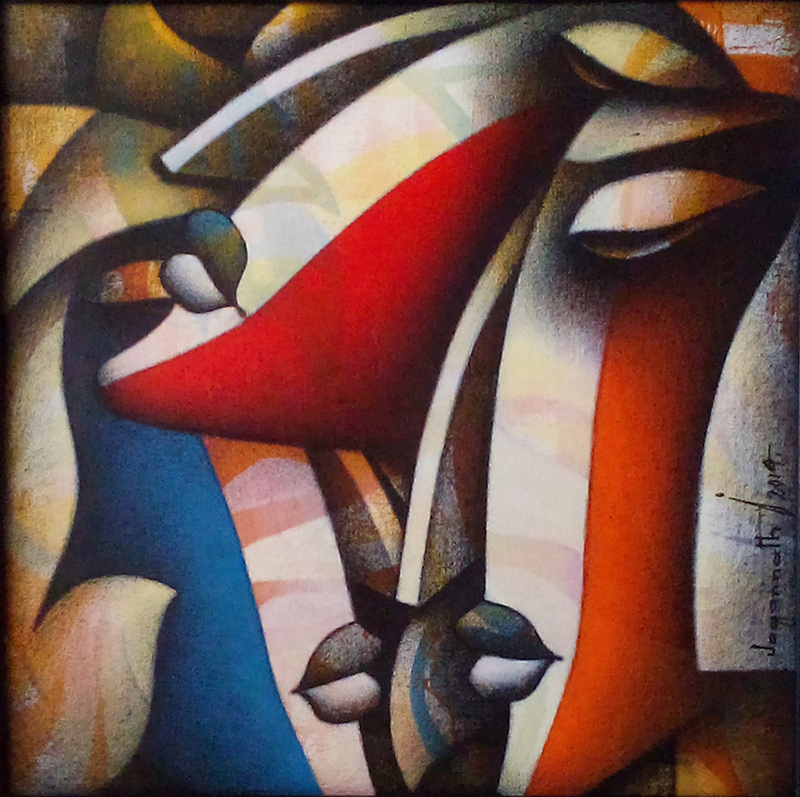 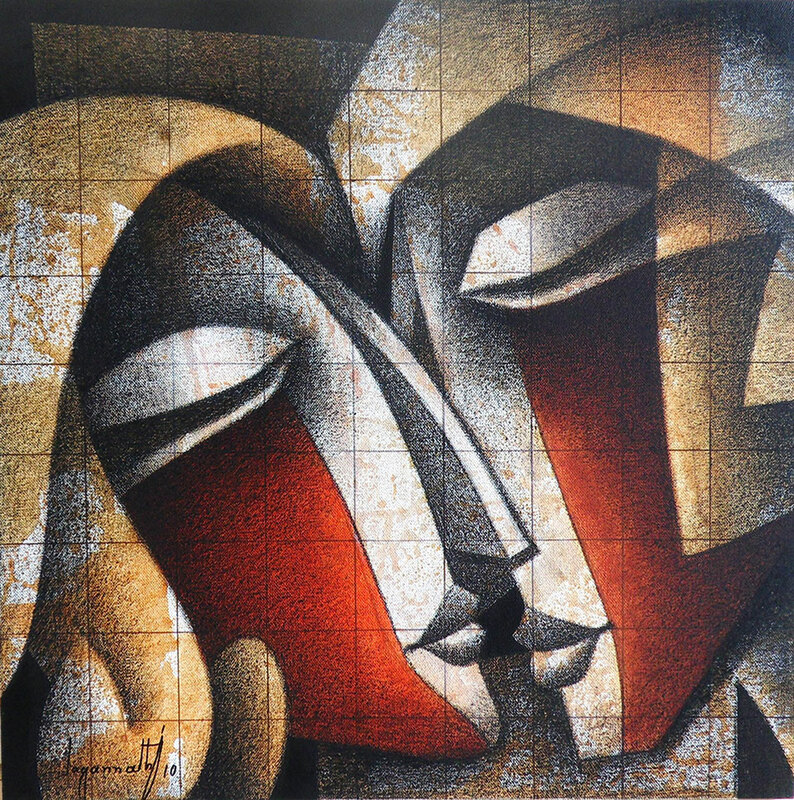 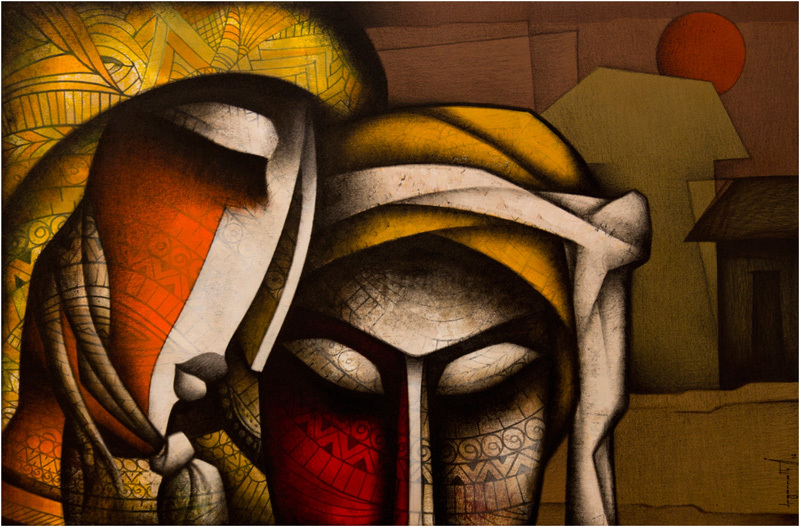 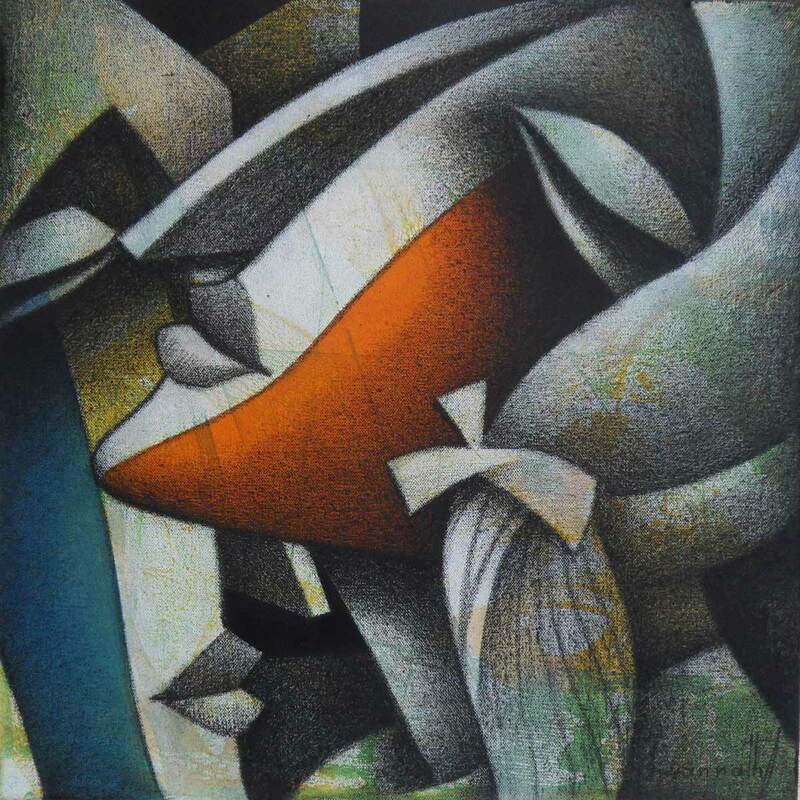 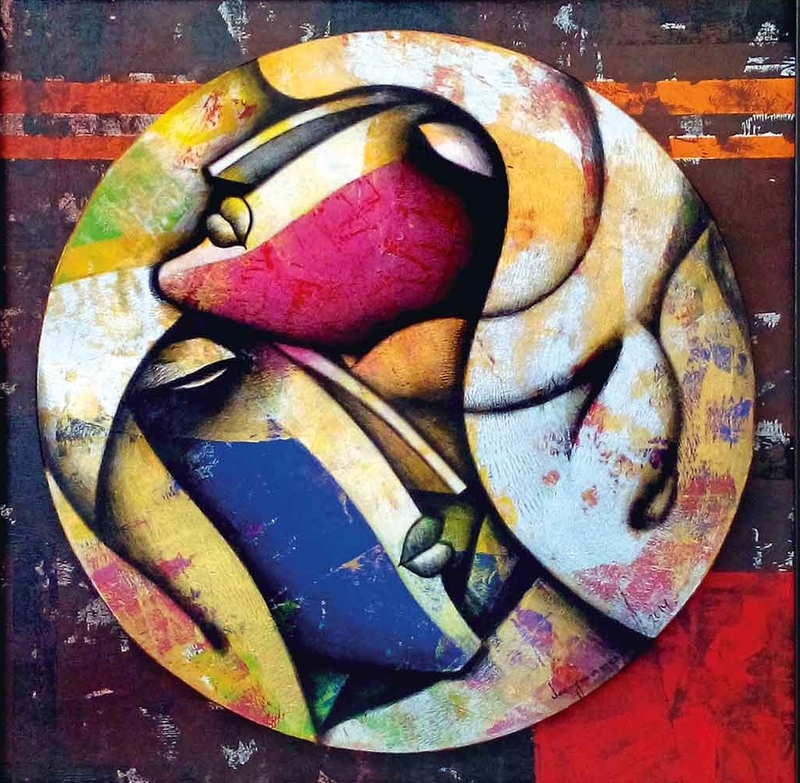 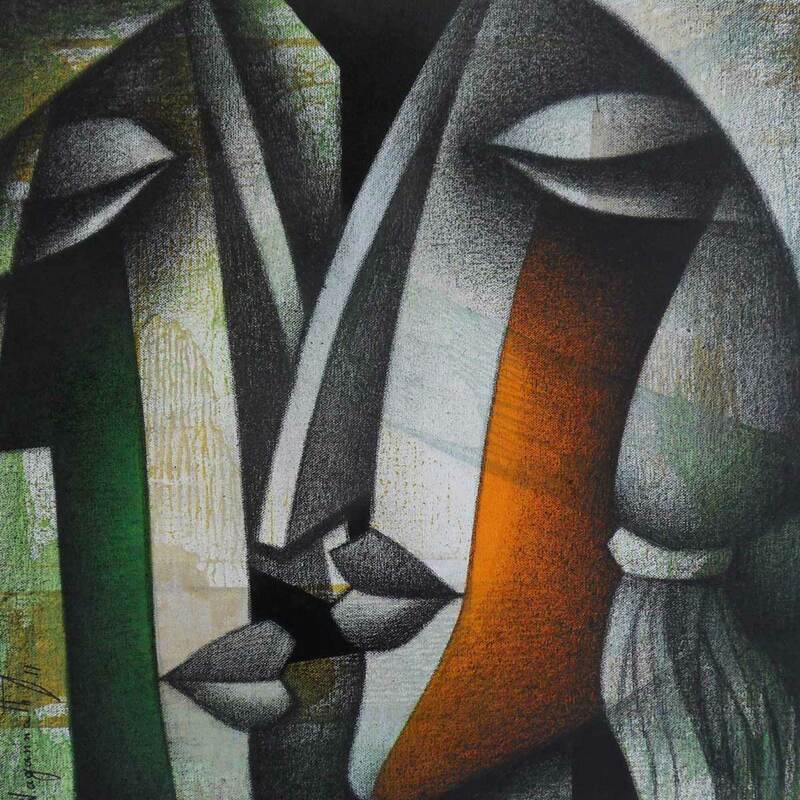 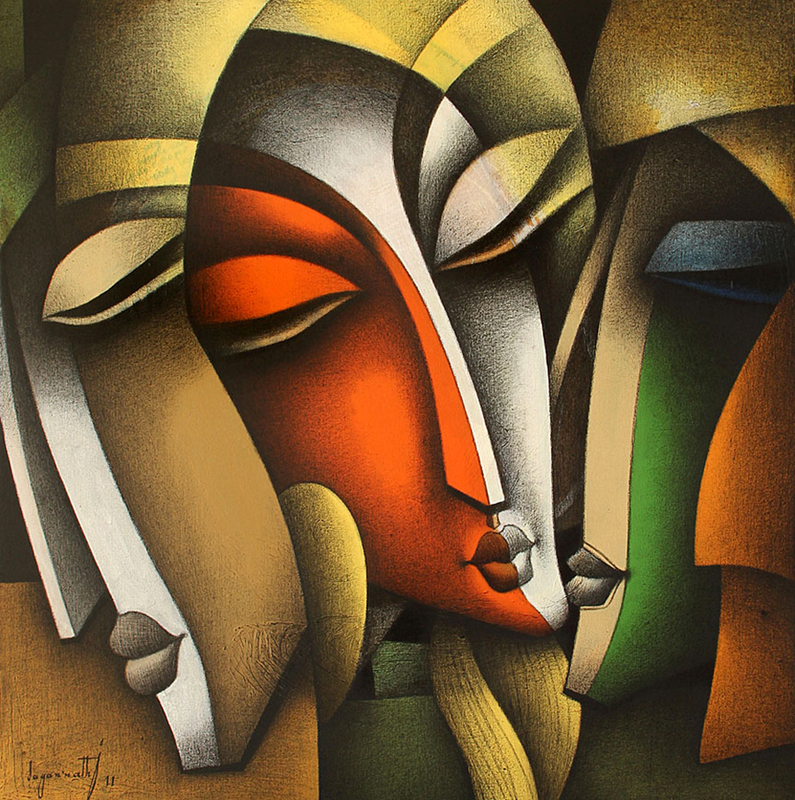 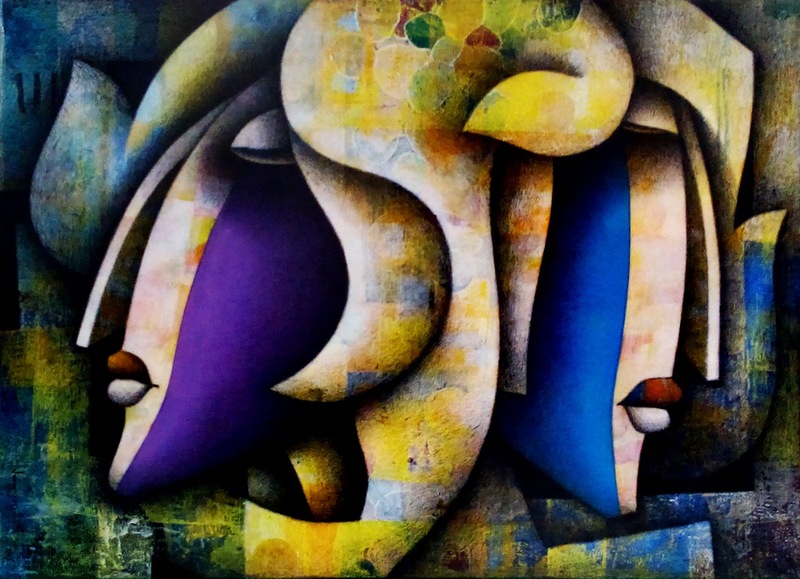 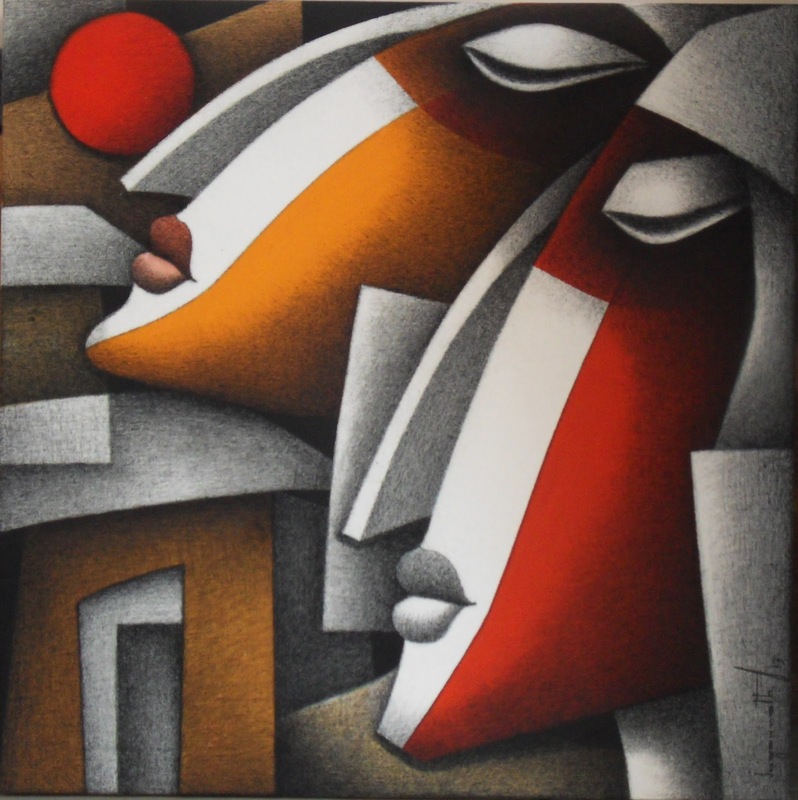 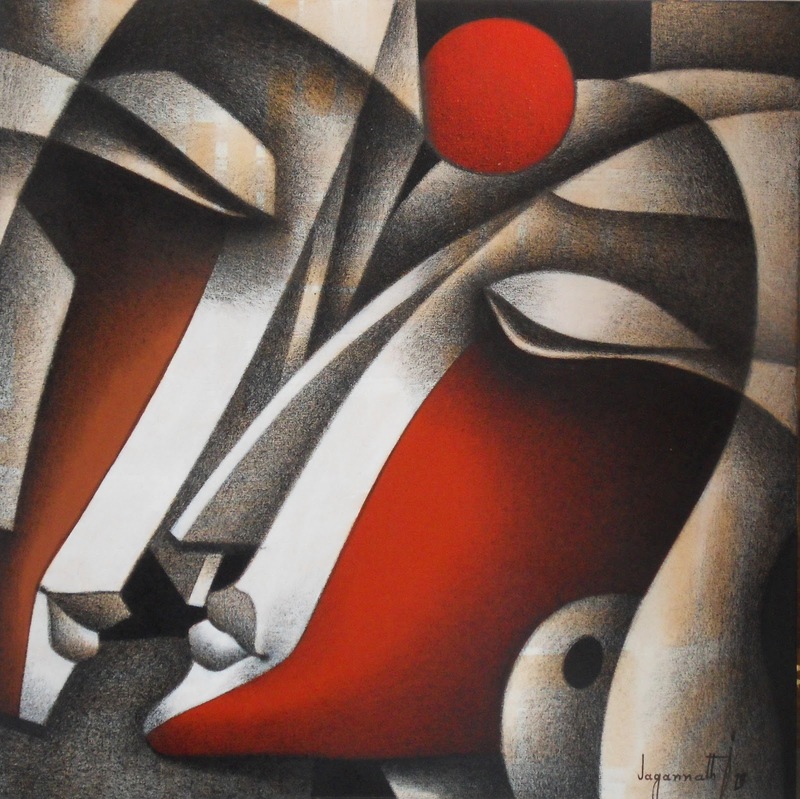 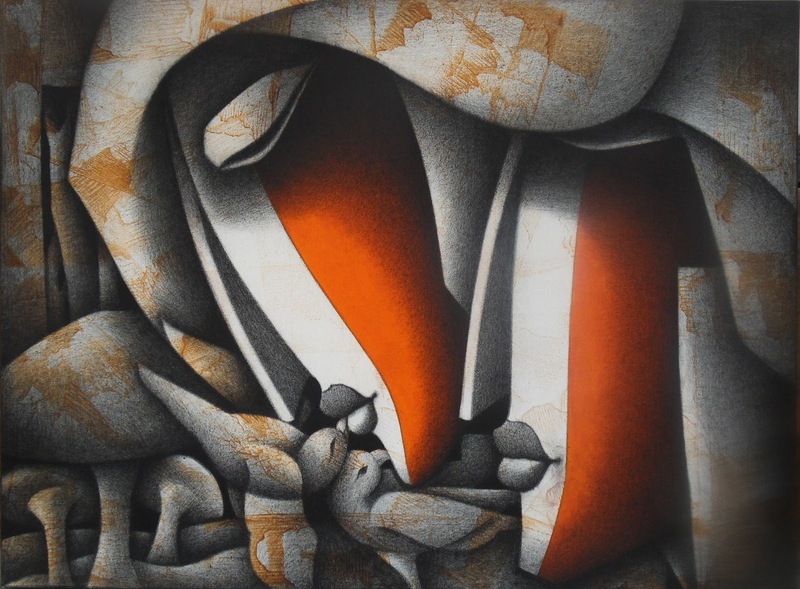 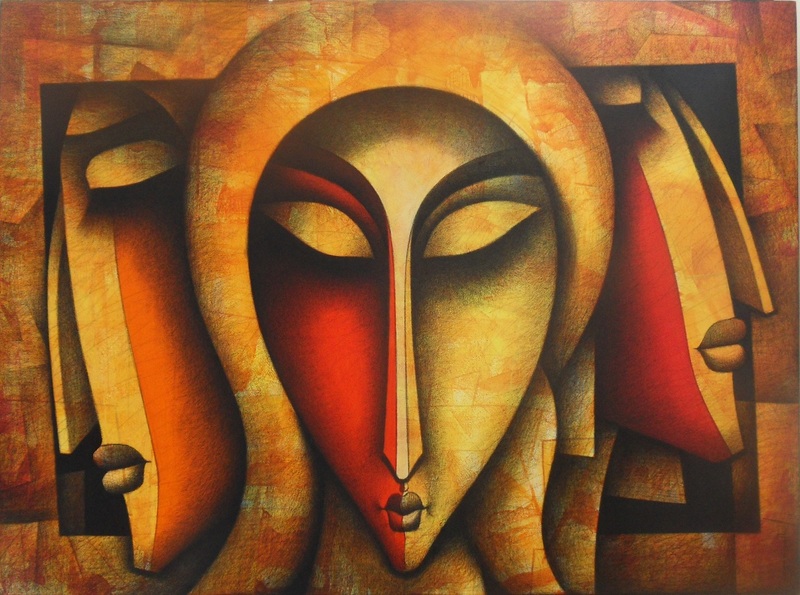 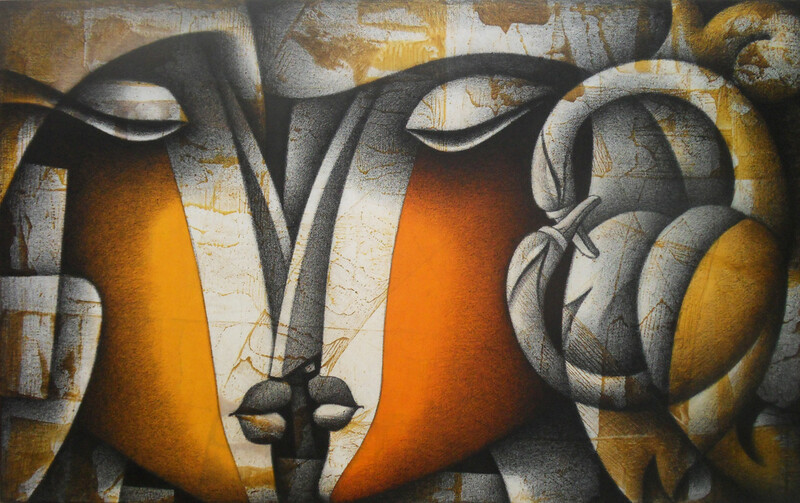 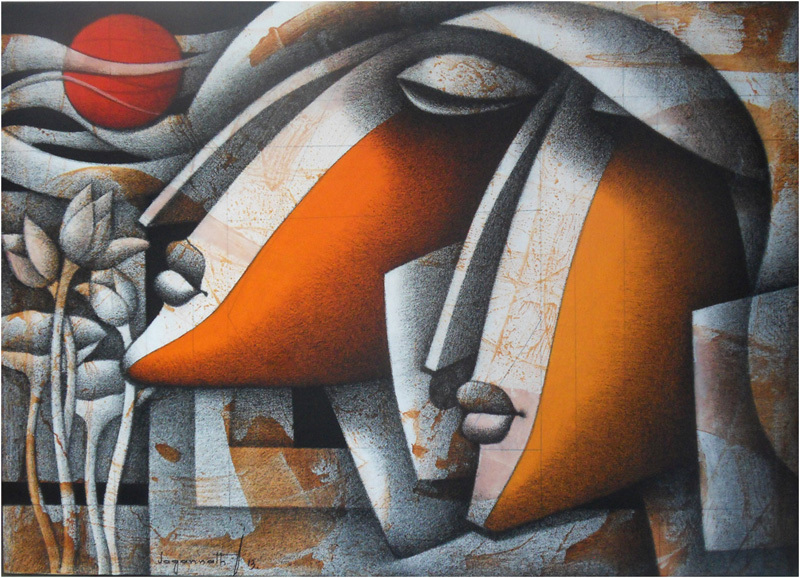 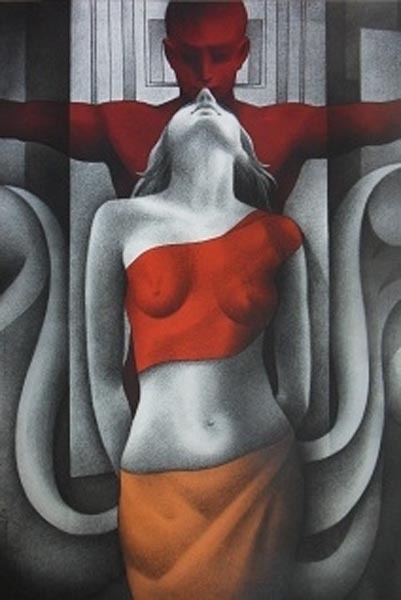 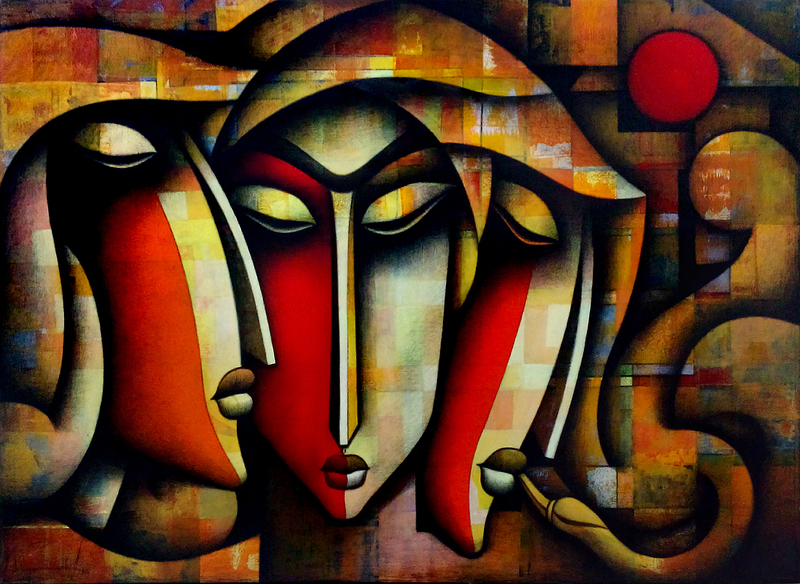 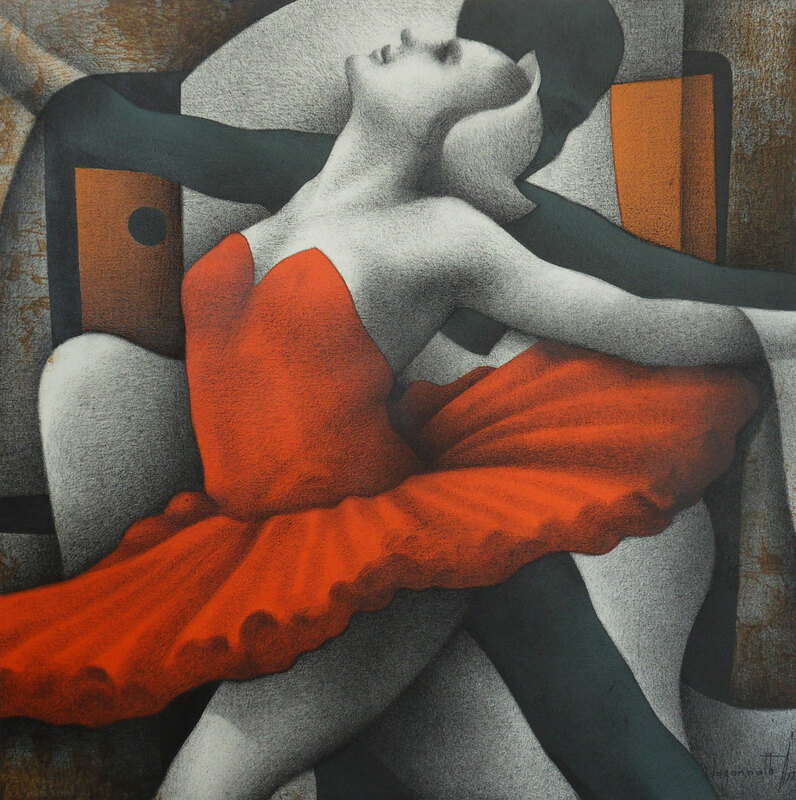 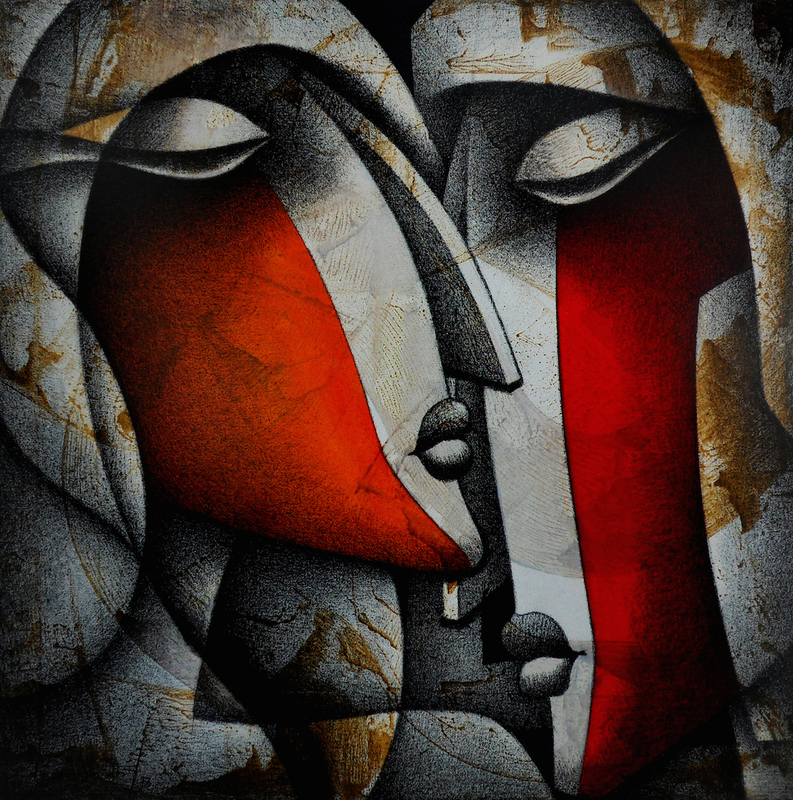 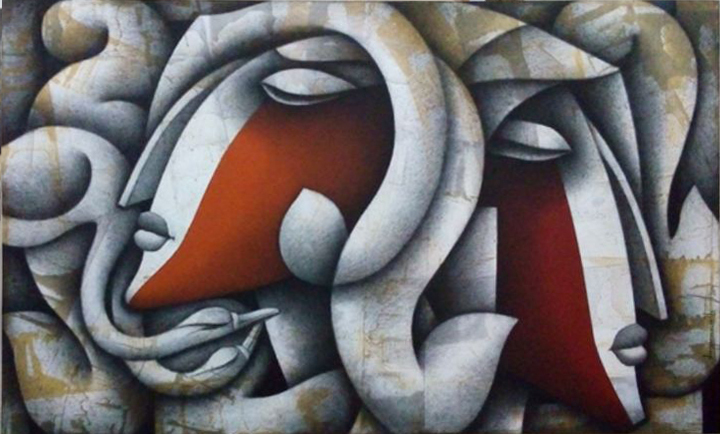 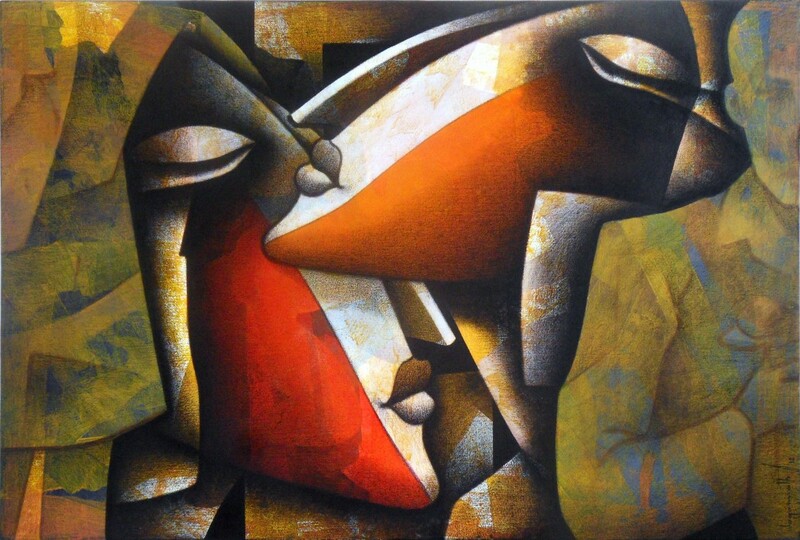 Born in West Bengal, Jagannath Paul is a Mumbai based artist.The varied nuances of male and female relationship are manifested into his paintings through the medium of charcoals and colors on paper and canvas. 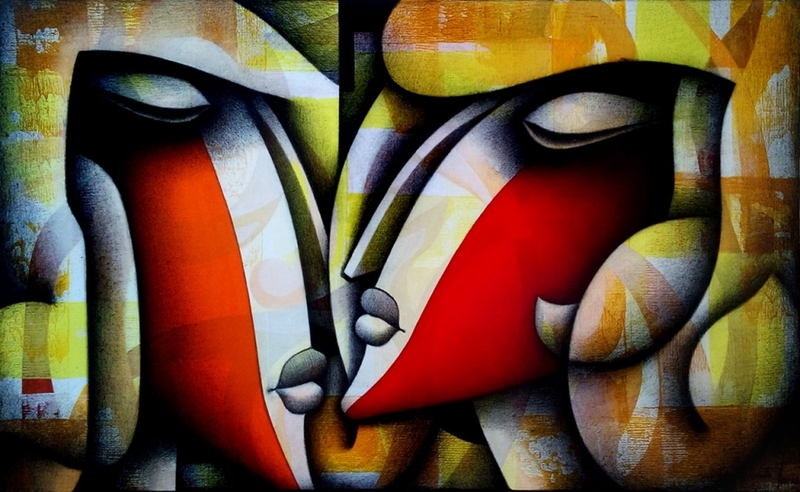 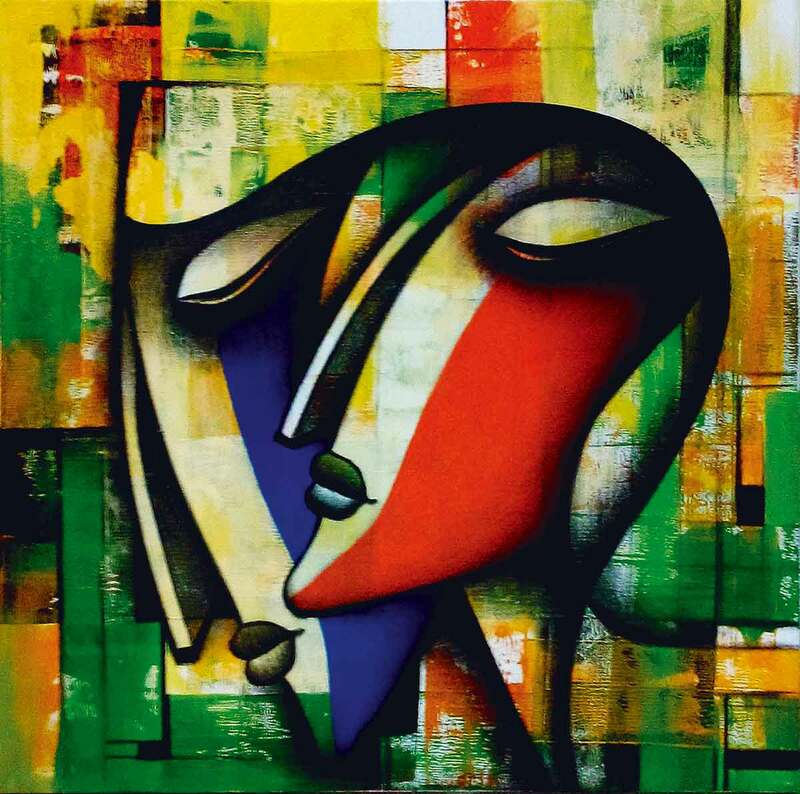 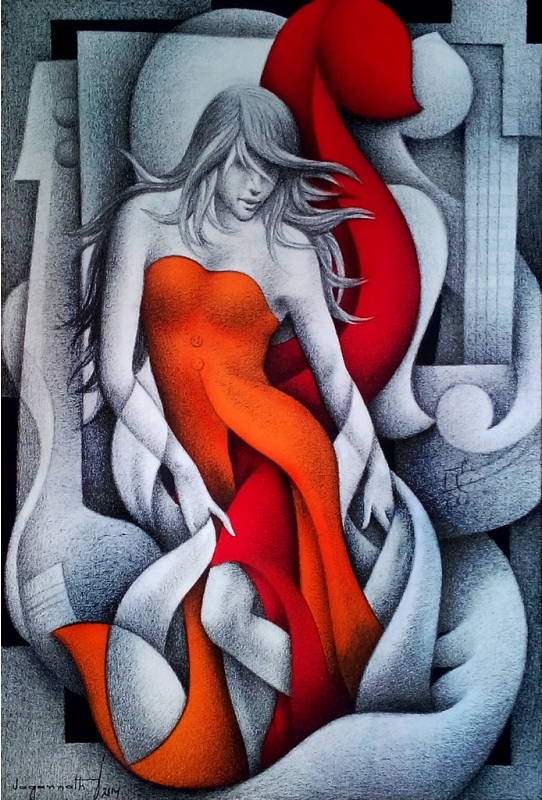 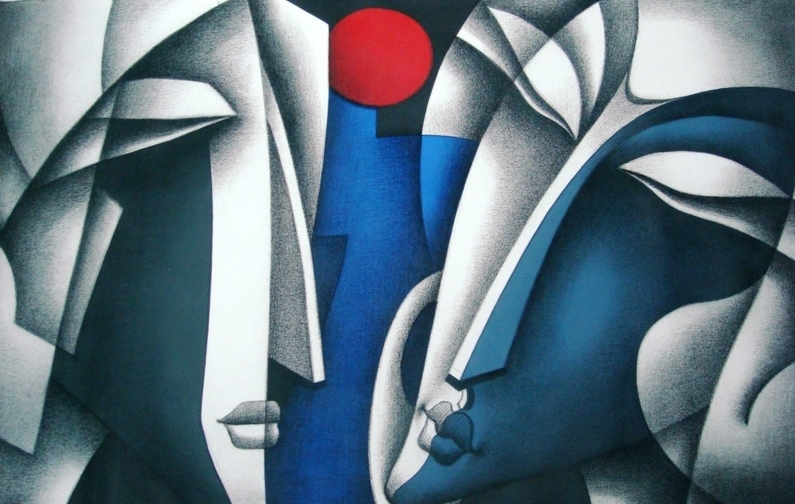 He uses colours to depict relationships in different moods and emotions. 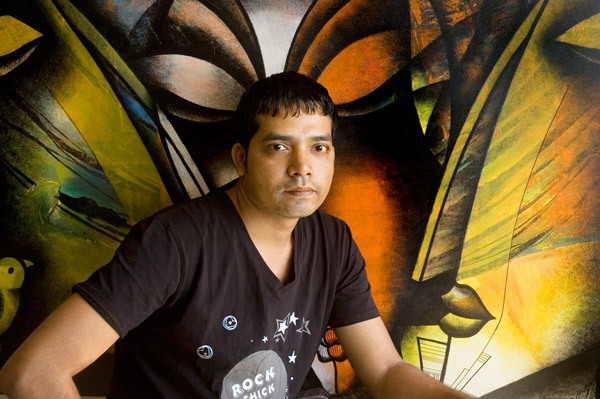 Jagannath Paul has graduated from the Government College of Arts and Crafts, Kolkata 2000 with 1st class 1st. 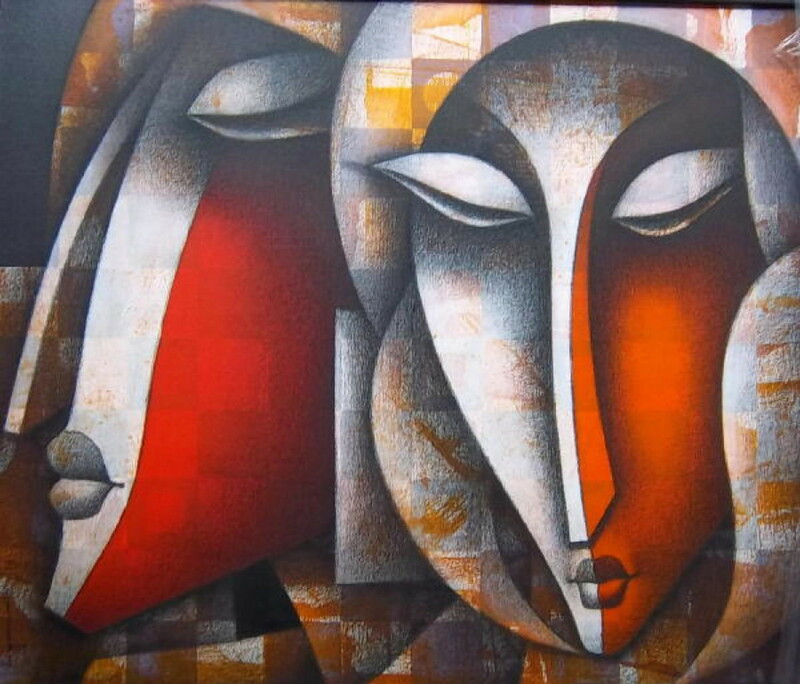 He has won many prestigious awards. 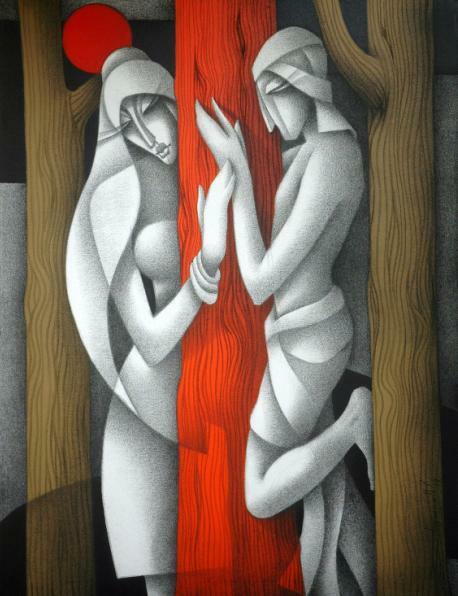 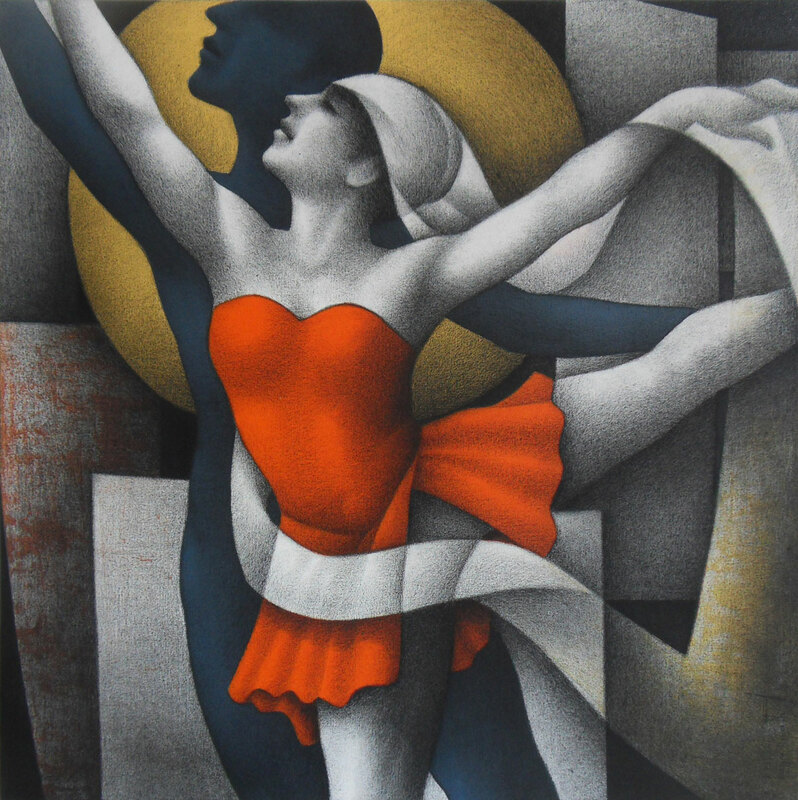 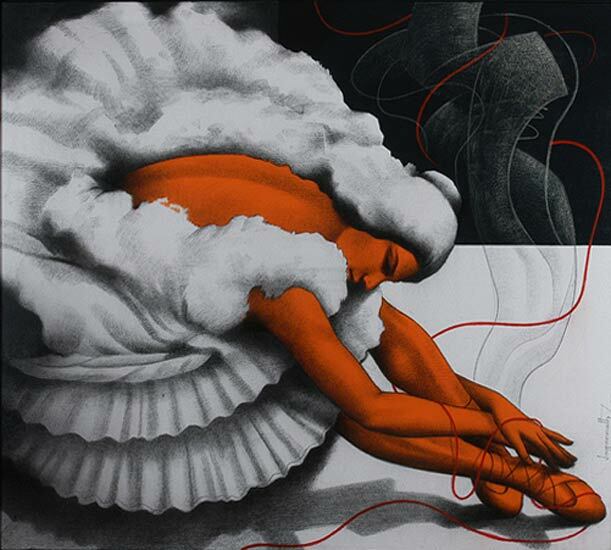 He is known for his charcoals on paper or canvas. 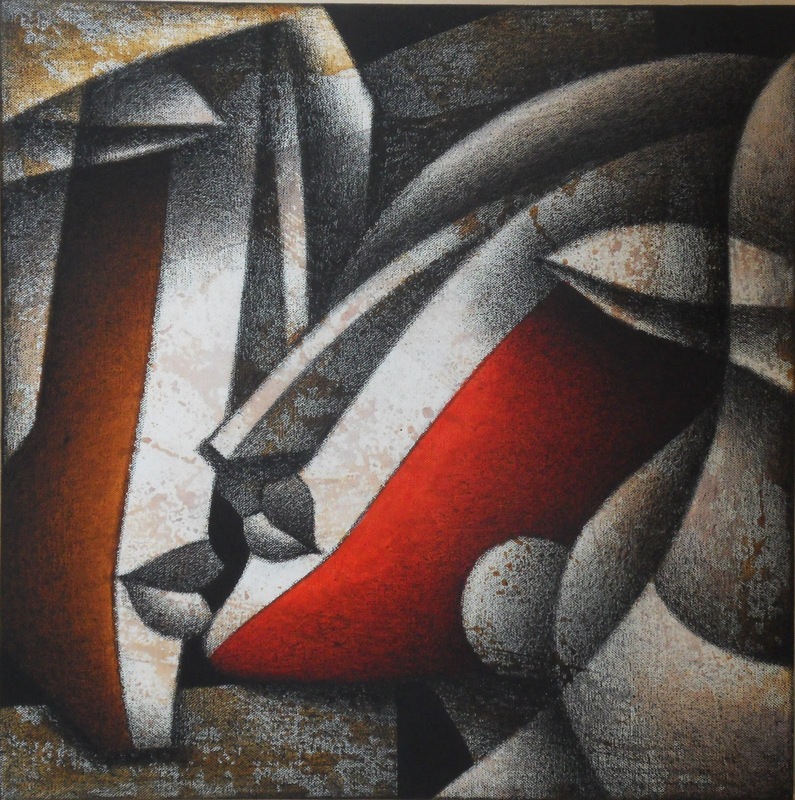 His works bring out the drama of black and white by introducing solid blocks of paint, which are restricted to reds, yellows and orange. 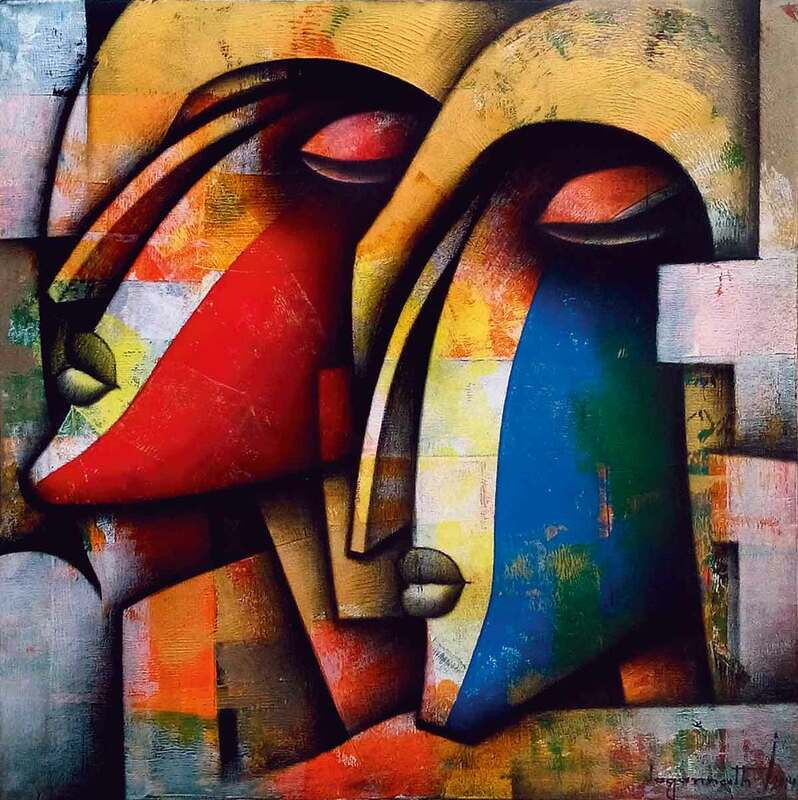 The contrast sets the mood of the work, highlighting the character that he paints. 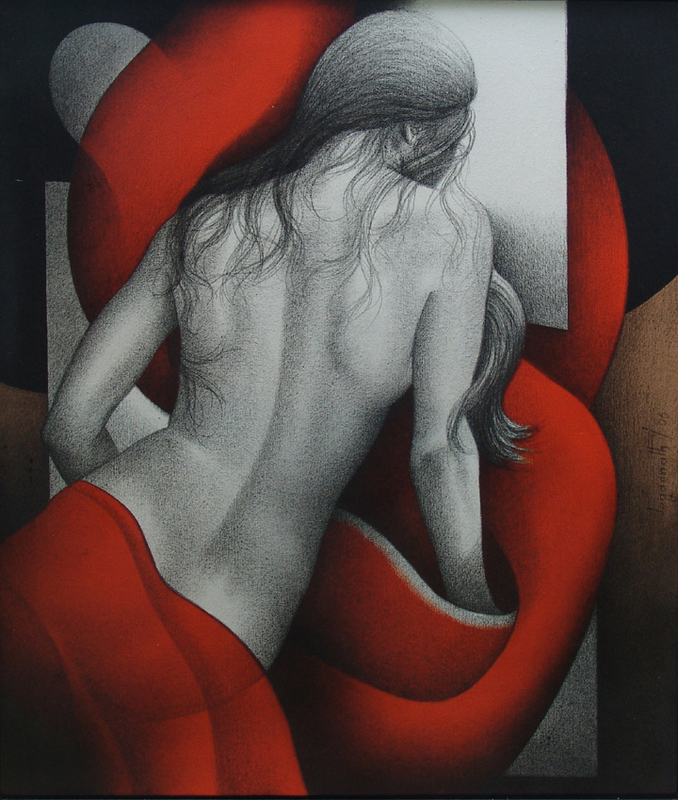 His skillful rendering of the female form shows an innate understanding and mastery of the subject. 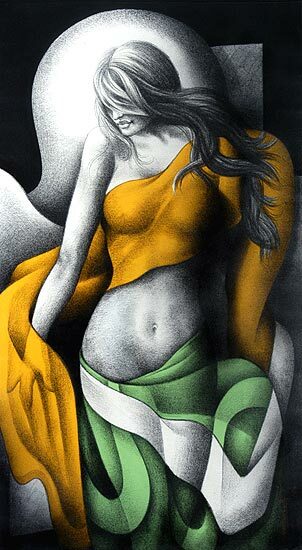 1995/96 - College Awards for Best Pencil study. 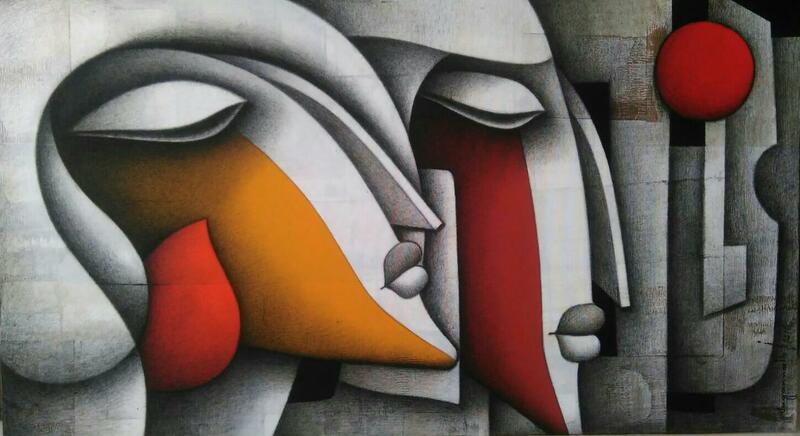 1997 - AIFACE Scholarship by AIFACE New Delhi. 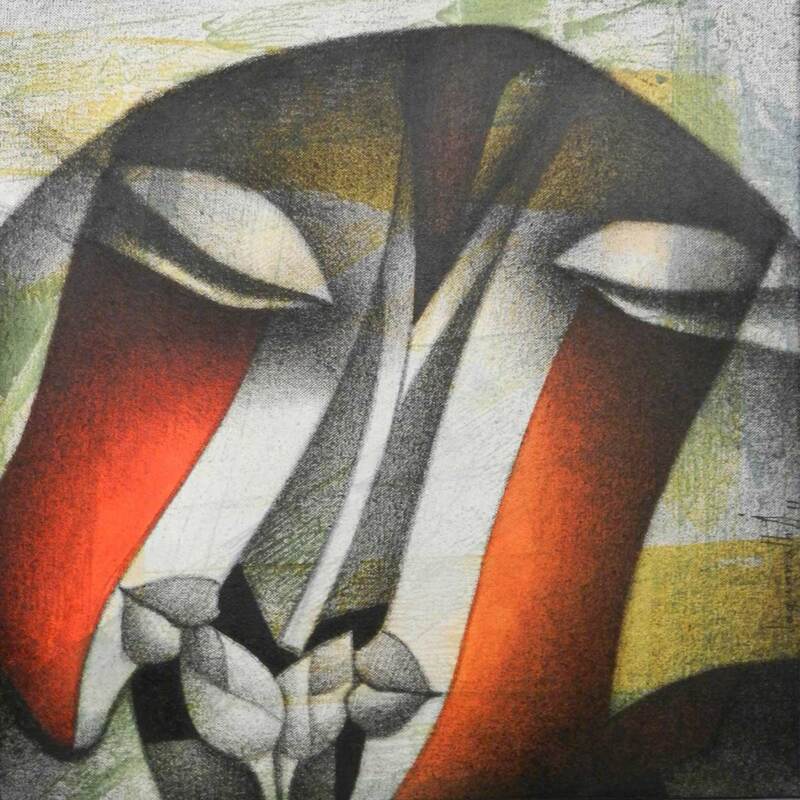 1999/2000 - Artist Camp by Academy of Fine Arts Artist Camp at trapicana, Alibag. 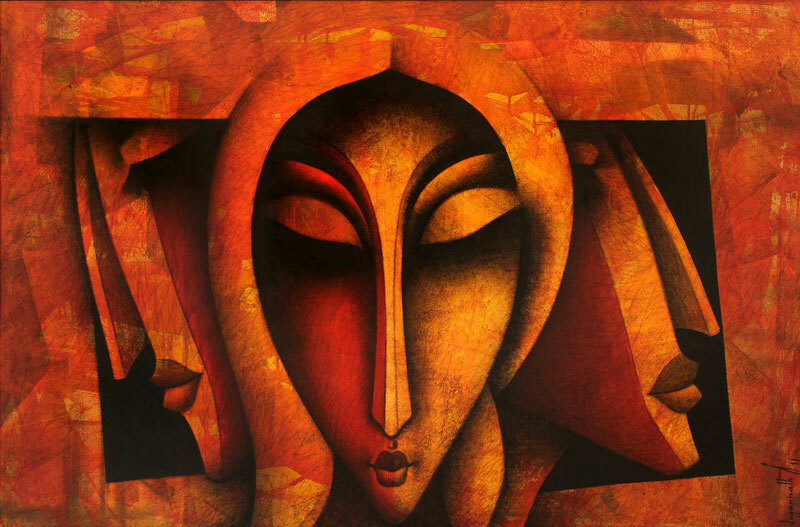 2005 - Bajaj Art Gallery, Mumbai. 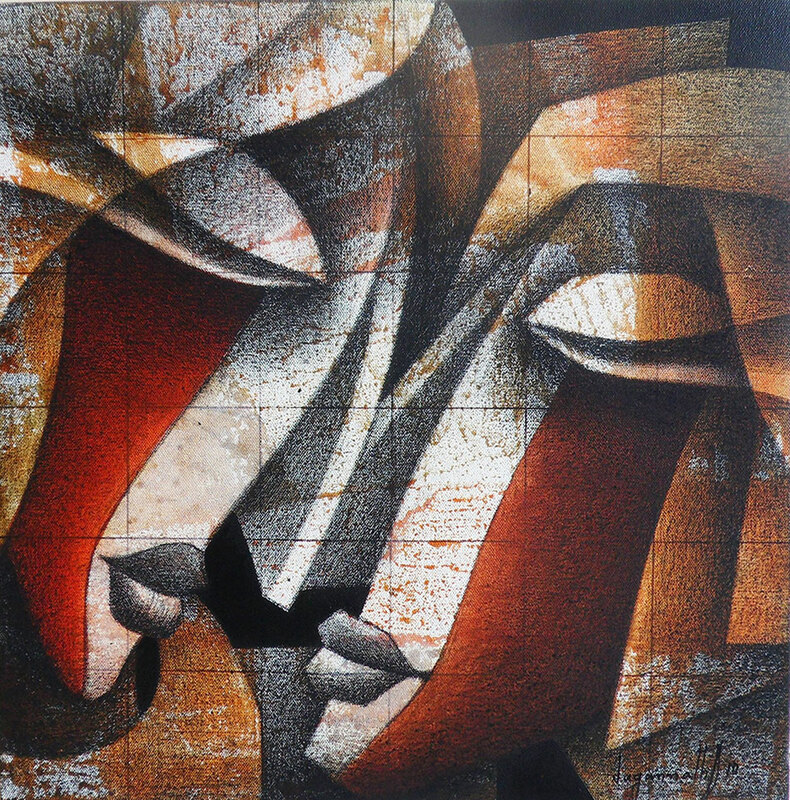 2004 - Nehru Centre Mumbai.